A board book suitable for the smallest, with its playful rhymes and bright illustrations of the sea, the moon and some cows. A creation story that explains how time goes on – how you are born and then grow old, just like everyone else. 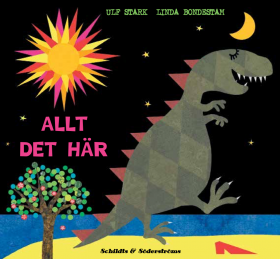 Written by Ulf Stark and illustrated by Linda Bondestam. ”The pike in its summer bay. so that you can run, fall – up again!